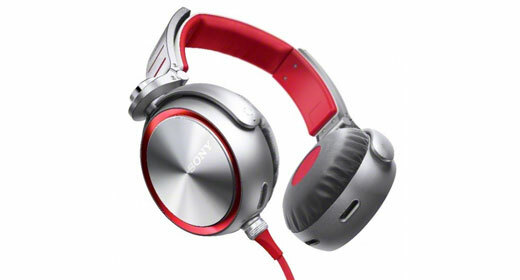 SONY’S EXTRA BASS (XB) series of headphones are unashamedly aimed at a very specific market – music fans that prioritise bass over accuracy but who also value clarity and who like a fair amount of style as well. Sony calls them “club music lovers”, and that’s probably as appropriate a description as any other. I reviewed Sony’s MDR-XB900 ‘phones back in October last year (review here ) but the XB series has already been updated with new MDR-XB920 and MDR-XB610 models. Presented with a set of MDR-XB920’s, I decided to give them a listen even though they’re eerily similar to the MDR-XB900’s. 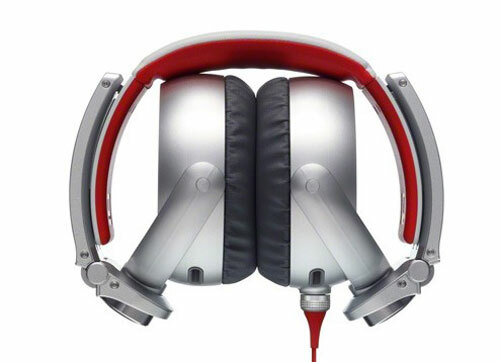 As it turns out, the MDR-XB920’s are very close to the MDR-XB900’s. The specifications are exactly the same and they look much alike, but they’ve been updated with a fetching new red and silver look, extra padding on the headband and a removable cable that has a twist-lock to keep it secure. The ‘phones are now supplied with both a 1.2m standard cord and a 1.2m cord with an inline remote and microphone. Bizarrely, the single button remote is bereft of volume controls for Apple device owners – perhaps Sony assumes that Apple-using “club music lovers” listen to their music with the volume set to 11, so they never need to adjust it but in practice, volume controls on the cable are a fabulous addition to general user friendliness. Thanks to the additional padding and the soft, seamless earpads, the MDR-XB920’s are exceedingly comfortable once the headband has had a chance to stretch out a bit. The ‘phones fold down to a reasonably compact package but no carry bag or pouch is supplied. Sonically, the MDR-XB920’s sound exactly the same as the MDR-XB900’s, although this set was tighter in the bass at the beginning of the review, needing less time to run-in. The bass is always huge though – it’s not even close to accurately recreating what’s on the recording and it can get fatiguing to have the low frequencies so relentlessly boosted when listening to music that doesn’t call for it, but the hefty bottom does make big-bass music from the likes of Massive Attack and AWOLNATION sound suitably larger than life, while offering a good amount of detail and transparency through the rest of the frequency range.